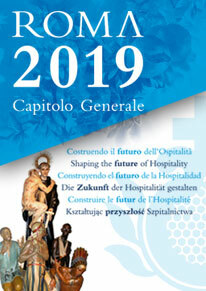 On Wednesday, 5 December, the General Curia hosted the final meeting scheduled for 2018 by the Hospitality Europe office in Brussels with the Provincial Reference Persons of the Order and the Sisters Hospitallers. About 20 people appointed by the Provincial Superiors attended the meeting which was called to order by Brother Rudolf Knopp, the President of Hospitality Europe and of the Order’s Europe Commission. Dr Carlo Galasso reported on the work promoted by the European office during the year and the main matters being monitored at the Union institutions. He presented the European projects being promoted by the office and currently being implemented in the Provinces, and new projects to be presented for the 2019 calls for projects. He was followed by Dr Francesco Vallebona - a Co-worker at the Brussels office – who illustrated the proposals submitted by the European Commission for the forthcoming health and social inclusion, research and innovation, and continuing education Framework Programmes. Being the final meeting in this Sexennium at the General Curia, the Prior General, Brother Jesús Etayo, chaired and adjourned the afternoon session, after explaining the proceedings of the forthcoming General Chapter and the main challenges which the Order will have to face in Europe in the coming years. Brother Rudolf Knopp then officially concluded the work of the Sexennium and thanked everyone for everything that it had been possible to accomplish through the Hospitality Europe office over the past six years, expressing the hope that the Order and the Sisters Hospitallers would continue to grow and work together in Europe in the future.